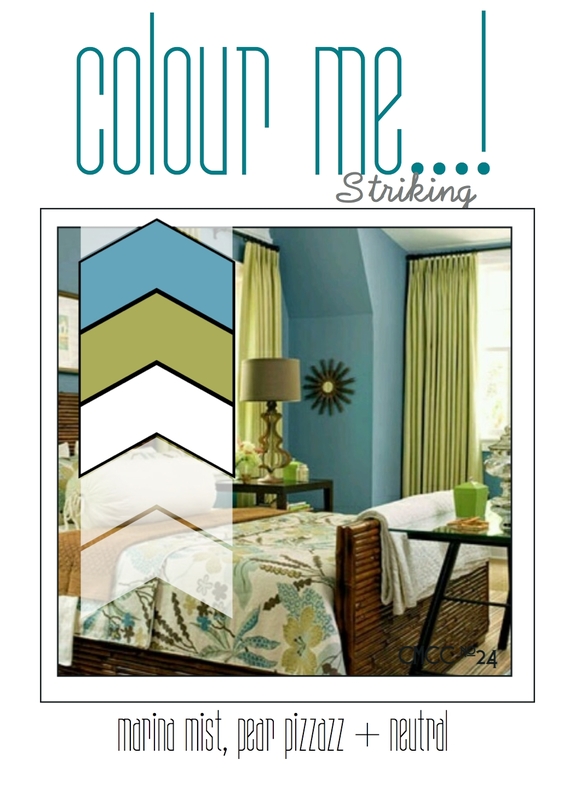 This week's colours are Marina Mist and Pear Pizzazz plus a neutral. I sponged some Broken China and Shabby Shutters Distress Inks (my nearest equivalents to Marina Mist and Pear Pizzazz) on two pieces of spare card a stamped one with Indigo Blu Vintage Flourish and the other with Indigo Blu Script Background then tore them into little pieces and overlapped them in the centre of the card. I sponged a Penny Black Blush Bashful die cut and added it over the pieces. I'm not a scrapbooker but I do like the layouts where there's lots of white space and it's all happening in the middle of the layout, and that's what inspired this card. Hope you'll come over and join in the fun at Colour Me...! hello mf....love the unique style of this card. You are so clever. Stunning! One of my faves by you!!!! Stunning ! Love the dple but beautiful design! Great card. Thanks for sharing the technique. I will case this card for sure. 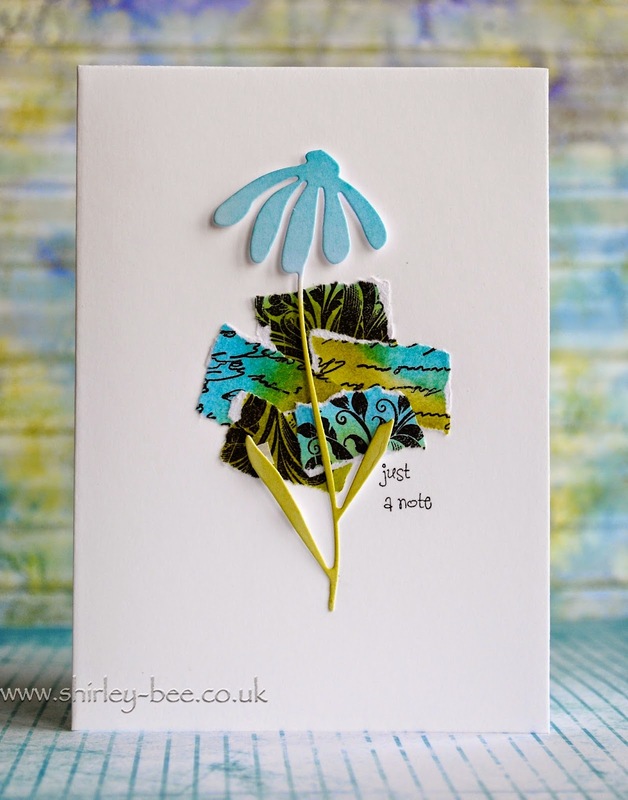 Wow, that flower is stunning - a gorgeous card Shirley! I love this, Shirley! Very clever!